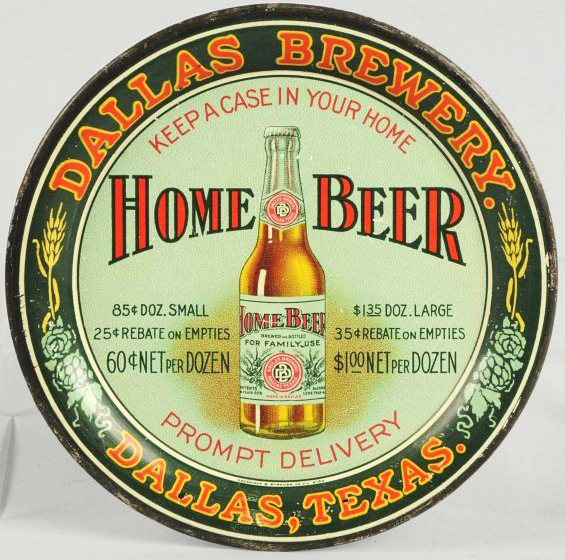 Serving Tray for Home Beer from The Dallas Brewery out of Dallas, Texas. Prices are stated on each side of the central bottle. Text across the border states Keep A Case In Your Home & Prompt Delivery. Barley and Hops can also be seen around the border.